Our Dularge shipyard facility has become one of the go-to shipyards in the U.S. thanks to a number of its unique features. 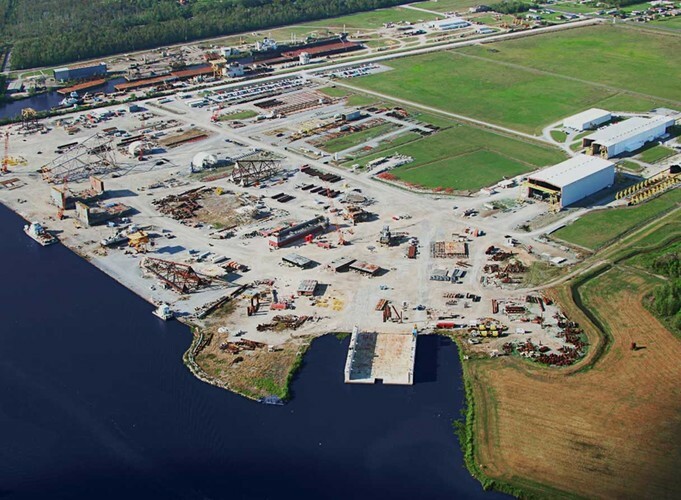 Located near mile marker 34.5 on the Houma Navigation Canal, our facility sits 24 miles from the open waters of the Gulf of Mexico with no overhead restrictions. 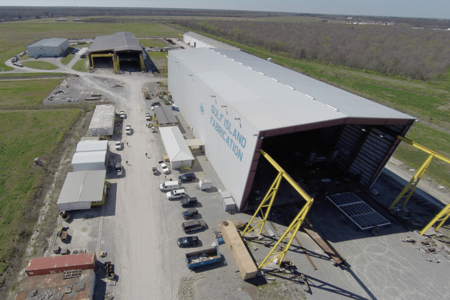 Our facility includes five buildings and features 90,000 square feet of covered construction area with blasting and coating capabilities. 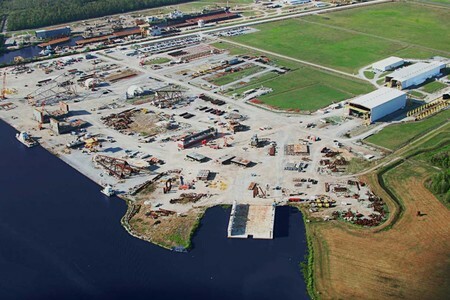 It also features hard-surfaced land with 2,700 feet of bulkhead and a controlling water depth of 15 feet. Single side welding table, with an advanced panel line system, plasma cutting table, overhead cranes, and cherry pickers.